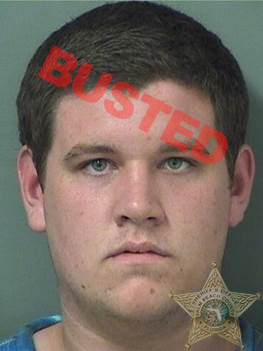 Agents from the Palm Beach County Narcotics Task Force (PBNTF) received information from a partner agency, the School Board of Palm Beach County Police Department, that an adult was selling prescription drugs to students at a Boca Raton area high school. The PBNTF initiated an undercover operation and purchased prescription medication, 12 Xanax pills, from the suspect, Dennis Thompson. Agents immediately took Thompson into custody upon completion of the undercover drug transaction, which occurred in the parking lot of the Publix Super Market at 3003 Yamato Rd. in Boca Raton. The PBNTF consists of members from PBSO, West Palm Beach PD, Boynton Beach PD, School Board of Palm Beach County PD, Greenacres PD, DEA, HSI, and the State Attorney’s Office of PBC. PBSO Detectives made an arrest in the senseless homicide of Shihab Mahmud, Wellington convenience store clerk. Home Health Care Worker BUSTED for pawning high end jewelry from victims who trusted her.